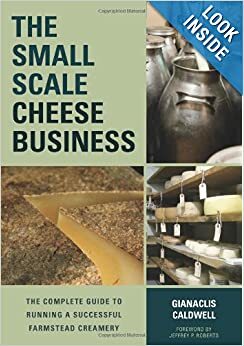 Gianaclis Caldwell is the author of several books on cheesemaking and dairy topics, including Mastering Artisan Cheesemaking and the Small-Scale Cheese Business. 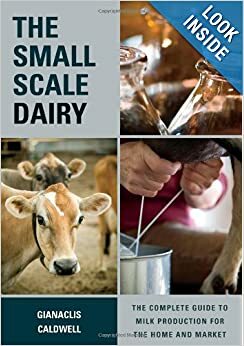 She speaks and consults on a variety of animal husbandry, dairy sanitation, and cheesemaking science topics in the United States and occasionally abroad. For a decade she was the cheesemaker at Pholia Farm Creamery and specialized in aged, raw, goat milk cheeses. She also enjoys serving as either a technical or aesthetic cheese judge. Mastering Artisan Cheesemaking, 2012, Chelsea Green Publishing. Finalist in the 2013 International Culinary Professionals book awards, finalist in the 2012 Book of the Year Awards from ForeWord Reviews Finalist – Reference –and 2nd place at the 2013 New York Book Show. She serves as “cheese expert” and often writes and photographs for Culture – The Word on Cheese magazine and other publications. You wrote an article/recipe in the Winter 2015/2016 issue of Culture magazine on making clotted cream. I am interested in making it and have two questions. First, is the heavy cream pasturized or ultrapasturized and second, can you substitute yogurt for buttermilk. Much thanks, by the way I have Mastering Artisan Cheesemaking and have found it to be very helpful. Thank you. Looking forward to the new book.